Looking for an affordable international data SIM card for traveling abroad? You have found it! People now access the web with their cellphone more than any other device and should not have to stop while they are traveling internationally just because of roaming fees. Many travelers use WIFI when they are abroad, but this can be just as expensive as roaming on your domestic SIM card, and can be dangerously insecure. There is a better way to stay connected to the internet while abroad. With Telestial Pure Data SIM card, you can securely check mail, post photos to social media and surf the web whenever you want in over 150 countries. It is also very affordable - international data rates start as low as $0.01/MB. So if you want an international data SIM card that makes your web browsing globally available, secure and affordable, get the Telestial Pure Data SIM card. 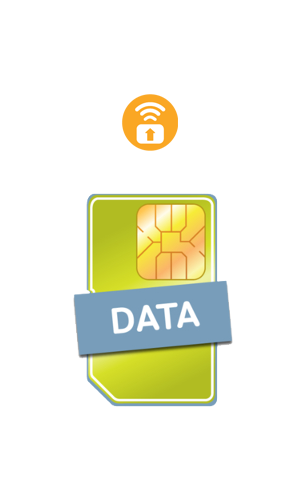 Select the data package to be activated with your SIM when you need it. Data packages can be renewed once used up. Because your SIM credit is paid for in advance, you will never return home from your holiday to a large and unexpected bill. With mobile data coverage in 140+ countries, you can stay connected even while crossing borders. Whether you just want to check your email every few days or want the same level of connectivity you are used to back home, we have a data plan that suits your needs. Purchase a 1GB data plan to get data for just $0.02 per MB. Get data on your phone, tablet, laptop, wearable, or all of them - with a personal Hotspot (sold separately). Check your usage online from your personal web account. Our Zone A plans cover 60+ countries, including the most popular tourist destinations. If you need extended coverage, check out the Zone B plan, which gives you all of Zone A and another 60+ countries on top. Data usage is billed in 1MB increments. 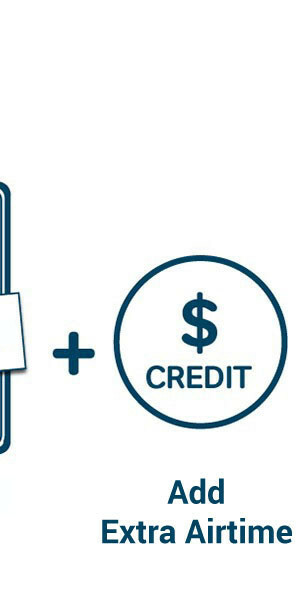 It is fast and easy to add more pre-paid data anytime online, through your on-line account. With our data SIM card, we've got you covered worldwide. 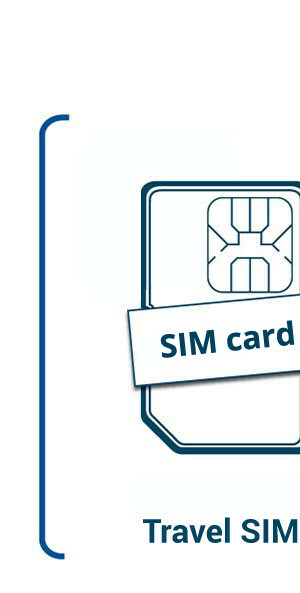 Expiration SIM card is valid for 2 years after the last billable use. The SIM balance and any inactive data package will expire 10 months after the purchase or recharge. Any SIM recharge will extend the balance for the next 10 months period.